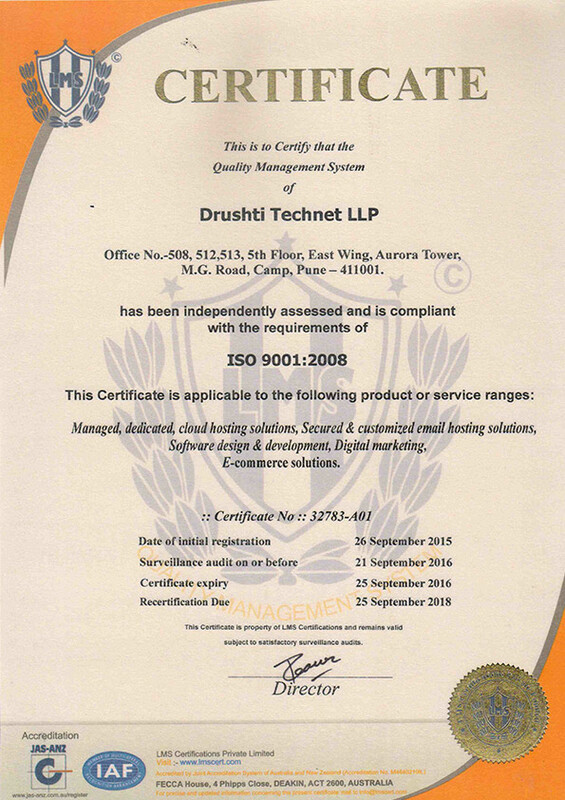 Drushti is a prominent pure-play Managed IT Solutions and Services Provider, specializing in Internet Data Center & Managed Hosting, Infrastructure Management, Managed Security, Cloud Solutions, Application Hosting, Messaging & Collaboration, Disaster Recovery and Availability Services, Digital Marketing Solutions, Mobile App Development and Ecommerce / Web Development Services. Your own managed dedicated server, hosted in Tier III Data Center and fully backed by 24×7 Expert Support engineers. Managed VPS Hosting provides the control of a dedicated server with the affordability and features of The Storm Platform. Cloud offerings in many sizes built to combine the control of a traditional server with all of the features of the Storm Platform. Send thousands and lacs of Email per day to target your customer's mind and inbox. Email solutions starting from USD 50 per month. Have Chat facility on your website with multiple operators and departments. Starting from USD 15/month/user. Multiple payment options to improves the business efficiency. 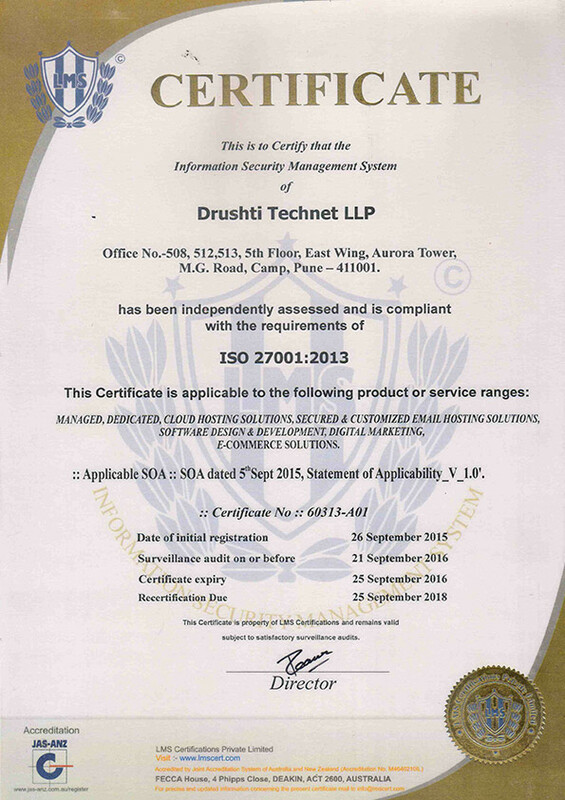 Secured server to handle and record the confidential information of your customers. User-friendly and speedy in processing to save your and customer’s time. Saves time and reduces administration. Your online marketing through digital PPC,SEO,SMM,Mailers & SMO services that results in good rankings and translates to higher traffic and hence, more business. Plans starting from USD 150/month. OTRS - A Customer Support Ticket System that meets your business needs by streamlining your customer service and drastically improve your customer's experience.